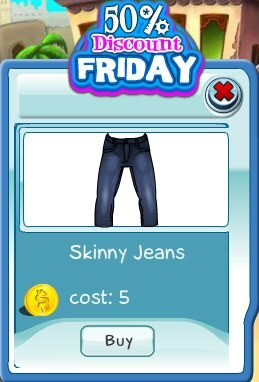 This week's 50% Discount Friday item are the Skinny Jeans. These jean are all the rage these days...but they aren't for everyone. For only 5 Gold Coins it won't hurt to try a pair on to see if they are for you!